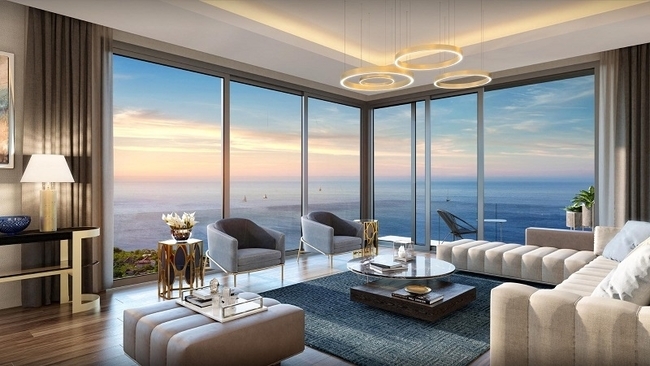 Is Turkey A Magnet For Luxury Property Investors? From Bodrum to Gocek, Istanbul to Kalkan, today's luxury property buyers are spoilt for choice in Turkey. There are beachfront villas with moorings for yachts, celebrity smart homes with private beach fronts, even penthouse apartments in Istanbul perfect for the city slicker and all coming in at prices far more reasonable than many other European destinations. The market for luxury real estate in Turkey is very much alive and it's attracting more interest than ever before. "Turkey is a great option for luxury property investors and I'm not surprised we are receiving more interest in high-end homes" says Tolga Ertukel, Director of Turkey Homes. "Turkey boasts many fabulous locations and excellent transport and trading links. As property investors are demanding more opulent homes and luxuries, we are seeing a growing number of developers building stand out homes and amenity rich properties aimed at the rich and wealthy. If you have a healthy budget, there are now a multitude of great options in the city and right along the Turkish coast." It is possible to find luxury Turkish real estate in most cities and coastal areas and, if you fail to locate exactly what you're seeking, there's always the option to build a dream home in Turkey from scratch. Finding a good real estate agent in Turkey should be the first port of call as they should know the market, listen to requirements and suggest possible properties and locations - you have to remember not all high-end property in Turkey is listed. As an initial guide, here's a little rundown on four of the most popular locations for luxury real estate in Turkey. Istanbul attracts property investors from budget buyers to high end purchasers. The city is ideally located between Asia, Europe and the Middle East and central to many trade routes. Istanbul has undergone a wave of development and urbanisation over the past 10 years in efforts to meet housing demands. Prices in the prestigious central districts have skyrocketed as a result. Although the central suburbs are home to many fabulous luxury Istanbul properties, central property in Nisantasi, Beyoglu and Besiktas now comes with steep price tags, however, they do gain premium rental returns and appreciate consistently year on year. For those with a more modest budget there is now a wide range of luxury properties in Basin Express and other trendy and up and coming European districts, all still within easy reach of the city centre. Areas such as Basin Express, Media Highway and those near the New Istanbul Canal Project offer affordable luxury apartments ideal as a base in the city or simply as a savvy portfolio investment. View a full range of Istanbul property for sale. If you're seeking luxury coastal real estate in Turkey then Bodrum is the perfect place to start a search. Located on the shores of the Aegean, right on the Turkish Riviera, the peninsula boasts an attractive blend of history, beauty, bustling towns, great bays, beaches, and a wealth of sophisticated resorts. Options are nicely spread out in a range of locations all offering fabulous mountain, sea and forest backdrops - the epitome of coastal living. For the wealthy, there's lots of property in Bodrum on offer. Yalikavak, home to Palmarina and ideal for mooring yachts, is one of Bodrum’s premium locations. Busy year round, it attracts the rich and famous all keen to sail the local waters, shop in the likes of Versace and dine at one of the many fine restaurants. There are many luxury properties for sale in Yalikavak, from colossal estates and mansions right through to stylish penthouses with stunning sea views. Turkbuku, on the peninsula’s north-western shores, is another option and one favoured by Turkish celebrities and the yachting world. This is a far smaller and more seasonal resort with substantial holiday homes tucked away from prying eyes. Other locations include Gundogan, a charming village ideal for those looking for a getaway from the city, and Gumusluk, a former fishing village now popular with the stars. View property for sale in Bodrum. The small town of Kalkan, tucked in a pretty bay between Fethiye and Antalya, is a picture perfect location. Its centre stems from the harbour side up a warren of pretty little streets homing no end of trendy restaurants, silver shops, hidden cafes, hip boutiques and galleries. Towards the rear, on elevated plots overlooking the bay with the Greek island of Meis visible in the distance, are a multitude of hotels and luxury Turkish villas mostly white washed and making the most of the view. There's no denying, Kalkan is an impressive location. 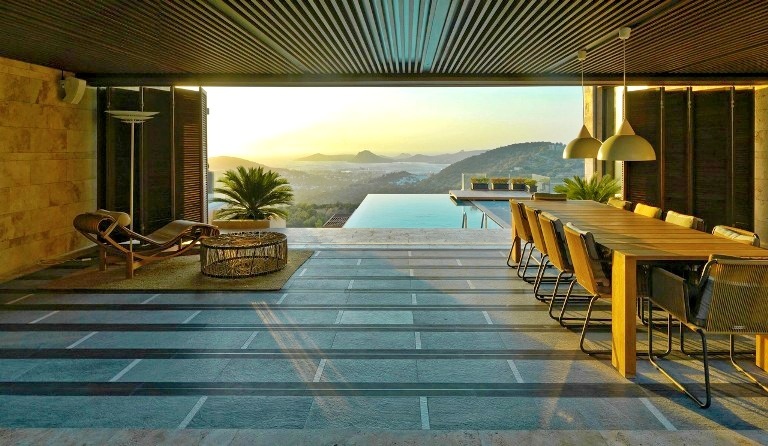 For the high-end property investor, there's many options from sea view apartments in Kalkan, to contemporary smart homes and luxury villas in Kalkan boasting the most amazing infinity pools. If a small and refined resort is more your style, a property in Kalkan may suit your needs. 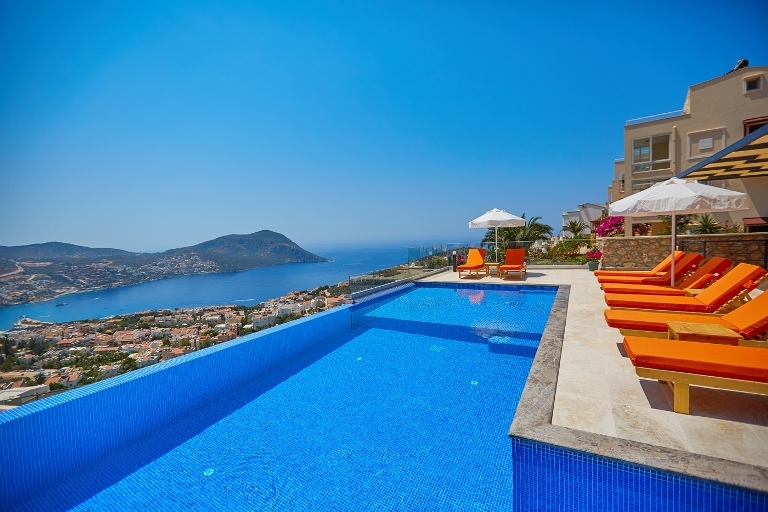 View property for sale in Kalkan. Gocek is a small and sophisticated resort famed for its 12 islands and as a yachting paradise. A natural harbour town and home to first class marinas and a wide range of luxury properties in Turkey, it has attracted star-studded guests and wealthy property investors for many years. Gocek is accessible. It lies just a 20 minutes drive from Dalaman International Airport and is perfectly placed for sailors wanting to explore Turkey's turquoise coast and many of the Greek islands. The small town centre homes all the necessities of the good life. There's fancy restaurants, exclusive boutiques, trendy bars and designer stores all centered around the harbour and within easy reach of the port and marinas. Gocek is an exclusive location, it's not uncommon to spot a celebrity or paparazzi on a stroll around. 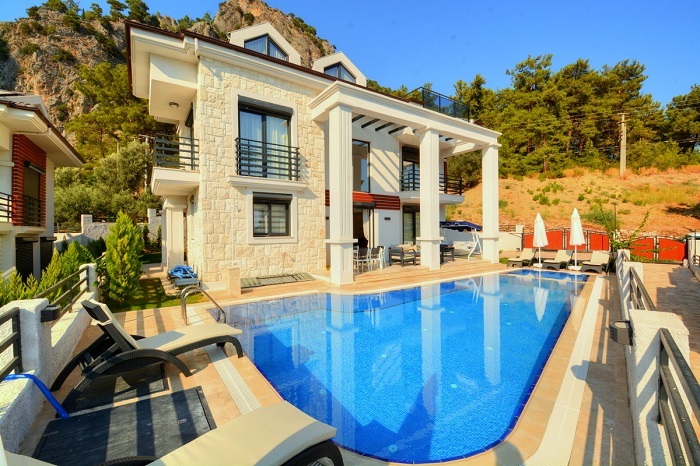 Many of the properties for sale in Gocek are also high-end. There are luxury villas with moorings for dingys, million dollar apartments overlooking the bay and a full range of luxury sea view villas tucked away on the hillside overlooking the town. If you have a yacht, or simply enjoy the highlife, Gocek is a great location. View property in Gocek. To find out more about luxury property in Turkey or to view our full portfolio, please contact Turkey Homes. Counting as part of Turkey’s most prestigious property sectors, Kalkan realestate is more than an investment opportunity for home buyers. They are buying into an exclusive Mediterranean destination of the Turkish Riviera that offers unrivalled luxury living. For 2018 / 2019, the British Yacht Harbour Association (THYA) awarded its supreme status as superyacht marina of the world. We also only need to look at the visitors who return year after year, from Saudi princes to western celebrities. Such is management’s attention to detail. If we have a look at figures released by Turk Stat, we can see Turkey is a multicultural hub with many nationalities investing in homes and business premises. In 2018, 40,000 homes were sold to foreigners including Russians, Germans, British, Sweden, Netherlands, and USA citizens. For overseas property investors, real estate in Turkey is the globe’s latest golden egg. In 2018, the country clocked up record house sales to foreigners of many nationalities including Germans, Russians, Brits, and Middle-Eastern countries. Without a doubt, health insurance is the biggest concern for foreigners living in Turkey. We all like the reassurance and comfort of knowing that in an emergency or case of major illness, insurance will cover the cost of treatment.